The happiest place on Instagram. 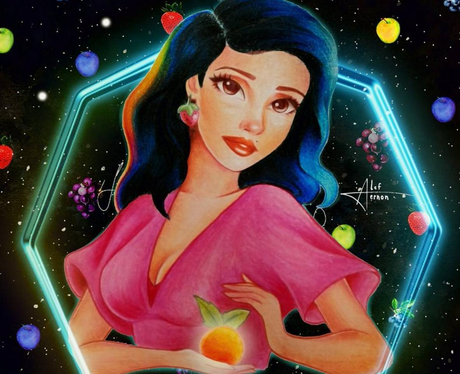 His name is Alef Vernon and he create these BEAUTIFUL drawings of our favourite popstars in the style of Disney cartoons. We took one look at this Marina and The Diamonds picture and became immediately addicted! And then we saw this picture of Melanie Martinez. She's a real life princess. Our precious smol bean Troye Sivan gets the Disney treatment too. She is basically a queen and belongs in a Disney film tbh. 8. Lady Gaga at the Grammys, too. We're still not over that robo keyboard she was playing. The hair in this is spot on. All our favourites together. Alef made this one in honour of International Women's Day. Alef, you're a genius! Make sure you check him out @alefvernonart and let him know what you think!